Happy Holidays! I want to take a moment to reflect on the incredible accomplishments of Best Buddies’ mission this year, and thank you for your support as we change the world for people with intellectual and developmental disabilities (IDD). Best Buddies had an amazing year, impacting more than 800,000 individuals with and without IDD and supporting nearly 700 job placements around the world. We hosted 1,750 participants at our annual student Leadership Conference, including our largest class of Buddy Ambassadors ever. Our national events, including the Miami Gala and the Best Buddies Challenges, were our largest and most successful to date. Our Best Buddies Friendship Walks also continued to grow and expand nationwide, with a 35% increase in support. We also launched Best Buddies programs in several new countries, including Macao and the Bahamas, where we will be opening offices in 2014. 2014 marks the 25th Anniversary of Best Buddies as a global volunteer movement that helps people with IDD secure rewarding jobs, live on their own, become inspirational leaders, and make lifelong friends! We will celebrate our silver anniversary in a myriad of ways, including the release of a coffee table book and a video commemorating this tremendous milestone, which you can view above. We also created a 25th Anniversary Fund to help support Best Buddies friendship, employment, and leadership programs for the next 25 years. I am extremely hopeful that by the end of that period, we will be very close to realizing our vision of putting Best Buddies out of business. Until then, there are still hundreds of thousands of individuals with special needs in communities around the globe who are isolated, excluded, lonely, and unemployed. It is only with your continued support, passionate enthusiasm, and dedicated energy that we will make our vision a reality. I have no doubt about the power of our programs and their importance in the lives of our buddies. I’m often asked to share stories about the impact of the Best Buddies mission around the world. This year, I witnessed so many moments in which I knew we were making a difference – from Cristen Maxwell, one of our Jobs participants who secured a position that provided benefits and a competitive salary of close to $40,000, to Molly Vock, a Best Buddies participant who witnessed a complete transformation of her high school in Wisconsin into a more inclusive environment for students with and without IDD. Please take a moment to watch the video above and see for yourself the impact of our Jobs program, which is enabling hundreds of companies to benefit from hiring our participants. So, as you compile your list of holiday gifts, please consider including one to Best Buddies, to help provide individuals with and without IDD the opportunity to experience the power of our mission. Best wishes for a healthy, happy new year! Shop at AmazonSmile and Amazon will make a donation to Best Buddies International, Inc.
Anthony K. Shriver is the Founder and Chairman of Best Buddies International, which he created in 1989 to foster one-to-one friendships between people with and without intellectual disabilities. Recognizing the tremendous volunteer potential of university students, Shriver first inspired his college peers to personally collaborate in expanding the realm of opportunities that persons with intellectual disabilities should experience. 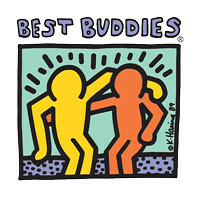 Today, through Shriver’s stewardship and entrepreneurial spirit, Best Buddies® has grown into a leading nonprofit entity with increasing international reach across six continents, establishing a global volunteer movement that creates opportunities for one-to-one friendships, integrated employment and leadership development for people with intellectual and developmental disabilities. Every person is an equal member of the human family.